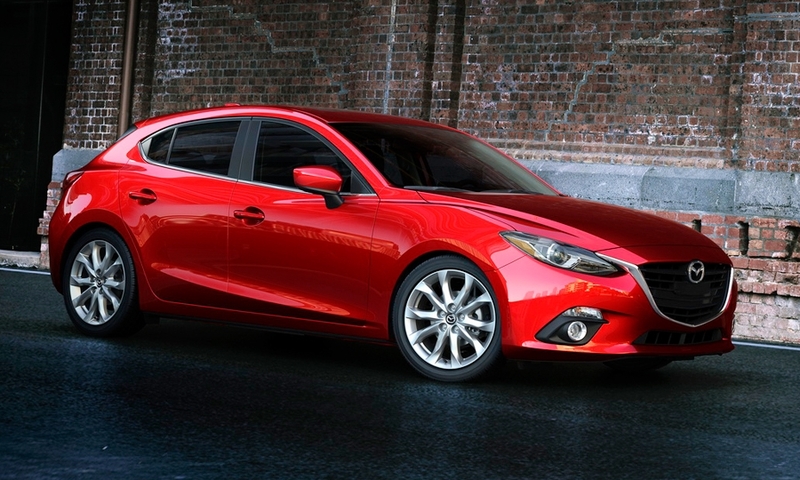 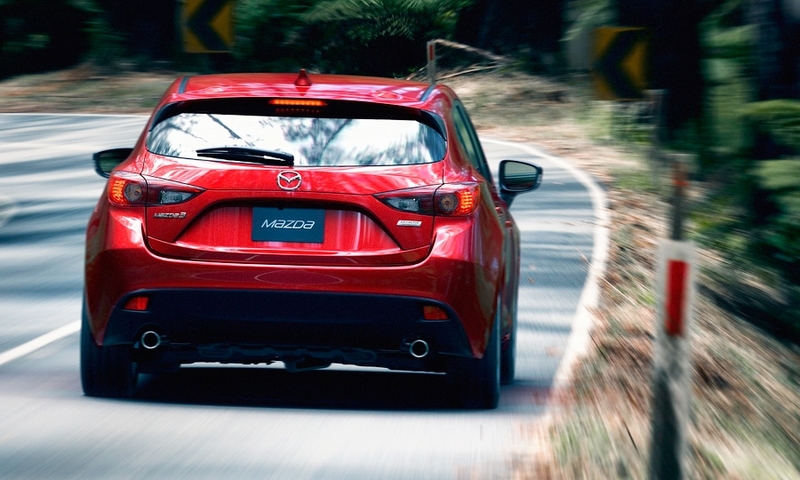 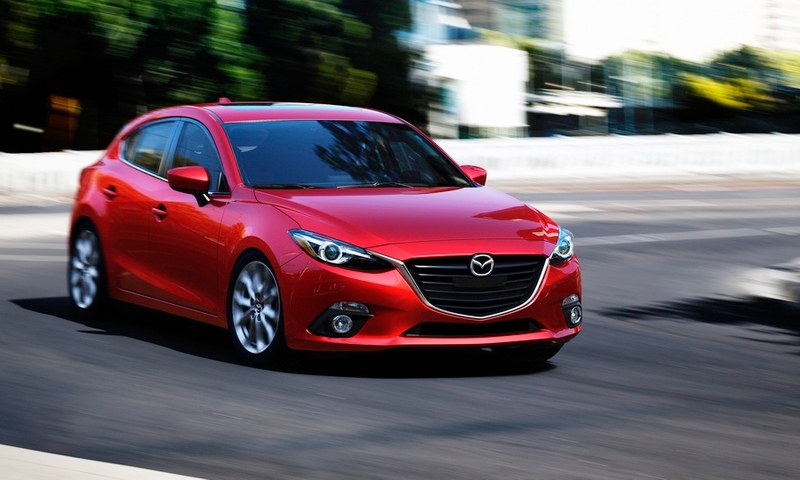 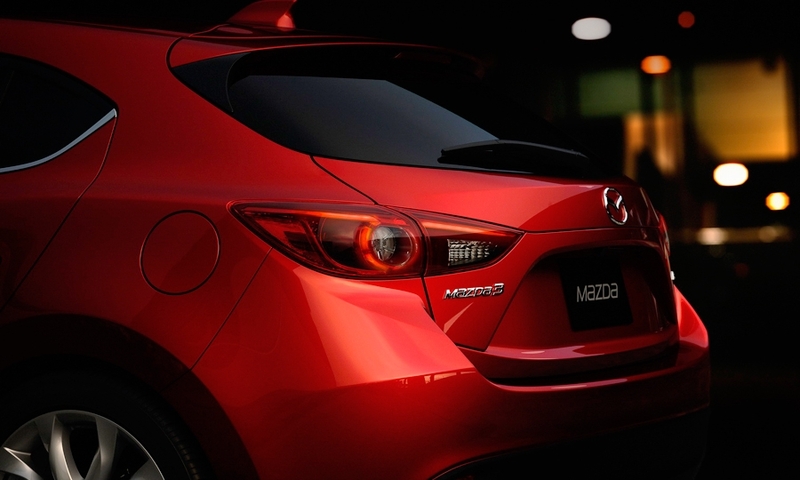 It employs similarly curvy fenders and the large inverted pentagon grille of Mazda's kodo design theme. 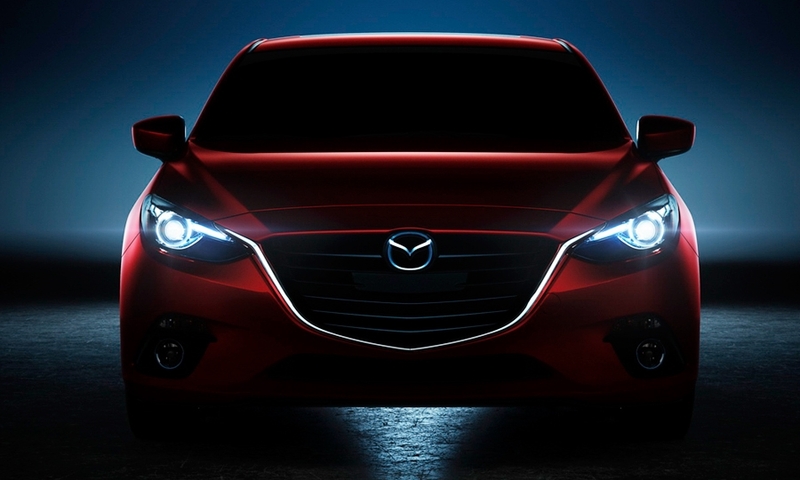 Both cars have a slung-back stance and styling flourishes that flare from the grille and intersect the headlamp areas. 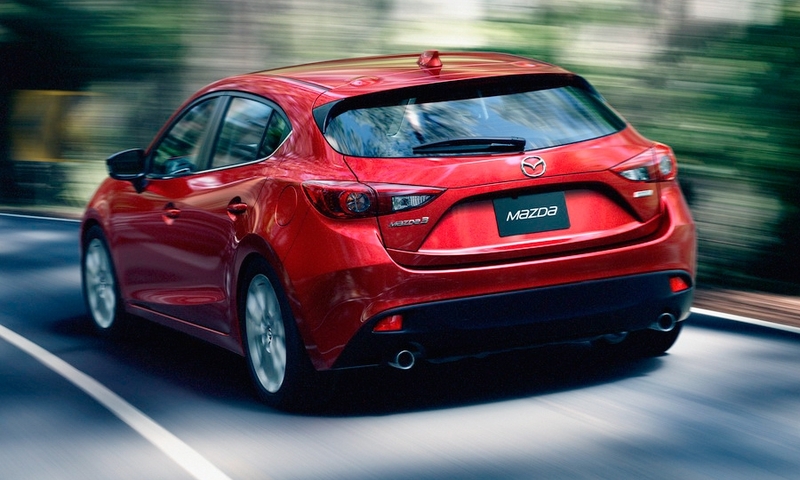 The upcoming Mazda3 will feature a new car connectivity system with a fresh driver interface. 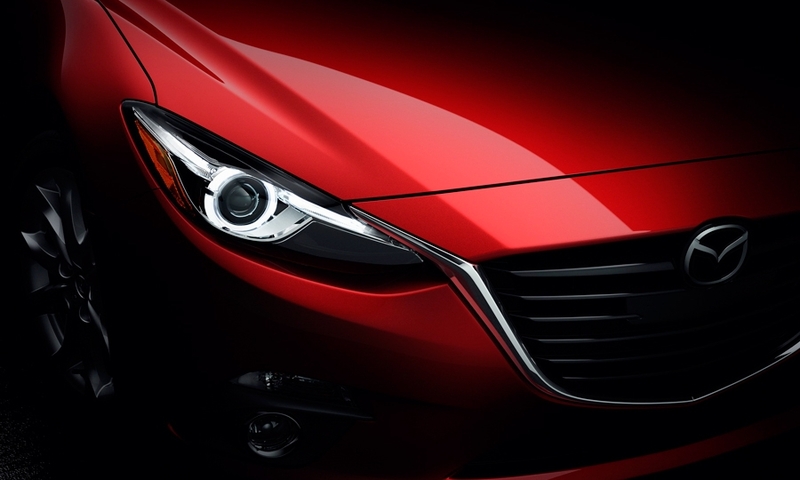 Dubbed i-Activesense, it will aid the driver in recognizing and avoiding hazards, the company said. 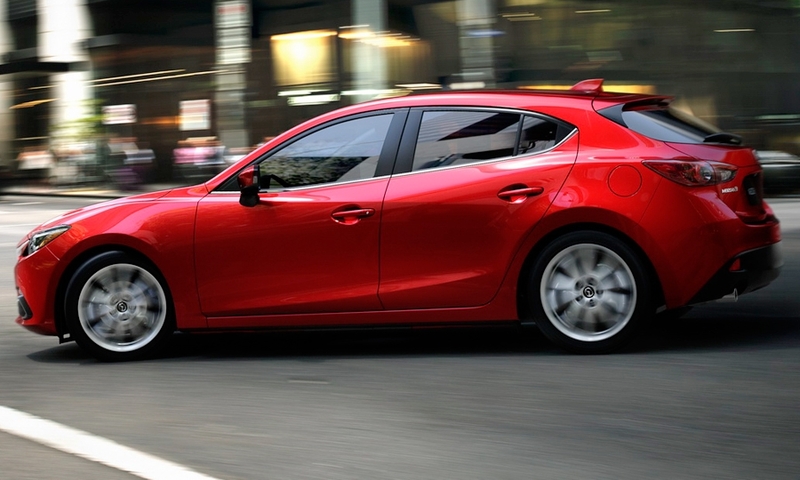 The global engine lineup for the standard Mazda3 includes a Skyactiv 1.5-liter gasoline engine in addition to 2.0- and 2.5-liter power plants and a 2.2-liter clean diesel engine.